Thank you for visiting the Sun Prairie Seeds Web site. Your use of this website (sunprairieseeds.com) constitutes your agreement to the following terms and restrictions governing any legal liabilities regarding the use or misuse of our website and its information. If you do not agree to this notice, please do not use our website. Your continued use of the website following the posting of changes to this notice will be deemed your acceptance of those changes. Please note that Champaign County Seed Co. LLC reserves the right to modify this legal policy at its sole discretion. Please carefully read the following legal policy before utilizing this website. Champaign County Seed Co. LLC at all times holds any and all right, title, and interest in and to the materials on this website. All materials on this site are the copyrighted work of Champaign County Seed Co. LLC. You may not copy, download, display, perform, reproduce, distribute, modify, edit, alter or enhance any of the materials presented in this website in any manner. You have no right, title or interest (and no copyright, trademark or other intellectual property right) in or to this website or any materials contained on this website. Although the information on this website is presented in good faith and believed to be correct, Champaign County Seed Co. LLC does not represent or warrant the completeness, accuracy or timeliness of the materials provided on this website, and will not be held liable as such for any errors or omissions. Furthermore, the availability of products on this Web site may change without notice to you. All conditions, representations and warranties, whether express, implied, statutory or otherwise, are hereby disclaimed. Champaign County Seed Co. LLC is not liable to you or any third party for any damages of any kind, including but not limited to direct, indirect, incidental, consequential or punitive damages, arising from or connected with this website, including but not limited to, your use of or your inability to use this website. The Sun Prairie Seeds logo is a registered trademark of Champaign County Seed Co. LLC. Use of this logo in connection with any product or service that is not a Sun Prairie Seeds product or service, or that of an affiliated third party, is strictly prohibited. Links to third party are not under the control of or maintained by Champaign County Seed Co. LLC, and do not constitute an endorsement of any such sites. By using this website, you acknowledge that Champaign County Seed Co. LLC is not responsible for the content or links displayed on such sites. Except where otherwise explicitly stated, all marketing or promotional materials found on this website are solely directed to individuals, companies or other entities located in the United States of America. If you use this website from outside the United States of America, you are entirely responsible for compliance with any and all applicable laws, including but not limited to the export and import regulations as well as any patent, trademark or copyright laws. Any and all activity resulting from use of this website is subject to the laws of the State of Illinois. Your use of this website serves as your consent to abide by said laws. Unauthorized use of any materials contained on this website may violate copyright laws, trademark laws, the laws of privacy and publicity, certain communications’ statutes and regulations and other applicable laws and regulations. You alone are solely responsible for your actions. Champaign County Seed Co. LLC is in no way responsible nor is it liable for any misuse or unauthorized activities. You shall indemnify and hold harmless Champaign County Seed Co. LLC and its employees and affiliates from any and all costs, damages, liabilities, and expenses (including attorneys’ fees) incurred in relation to your use of this website. Champaign County Seed Co. LLC may revise these Terms at any time without notice by updating this posting. Your continued use of this website after changes have been made constitutes your acceptance of such revised Terms. Think Before You Bin Run! Monsanto Company is a member of Excellence Through Stewardship® (ETS). Monsanto products are commercialized in accordance with ETS Product Launch Stewardship Guidance, and in compliance with Monsanto’s Policy for Commercialization of Biotechnology-Derived Plant Products in Commodity Crops. Only commercialized products have been approved for import into key export markets with functioning regulatory systems. Any crop or material produced from this product can only be exported to, or used, processed or sold in countries where all necessary regulatory approvals have been granted. It is a violation of national and international law to move material containing biotech traits across boundaries into nations where import is not permitted. Growers should talk to their grain handler or product purchaser to confirm their buying position for this product. Excellence Through Stewardship® is registered trademark of Biotechnology Industry Organization. ALWAYS READ AND FOLLOW PESTICIDE LABEL DIRECTIONS. 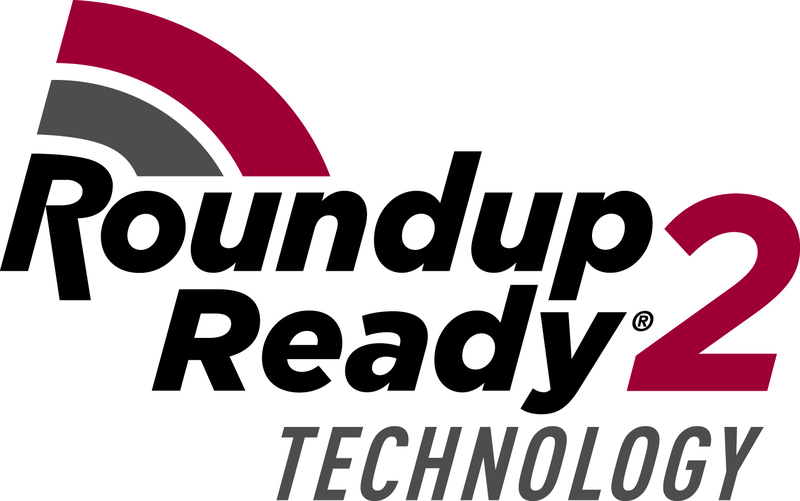 Roundup Ready® crops contain genes that confer tolerance to glyphosate, the active ingredient in Roundup® brand agricultural herbicides. Roundup® brand agricultural herbicides will kill crops that are not tolerant to glyphosate. Genuity Design®, Genuity Icons, Genuity®, RIB Complete and Design®, RIB Complete®, Roundup PowerMAX®, Roundup Ready 2 Technology and Design®, Roundup Ready 2 Yield®, Roundup Ready®, Roundup Technology®, Roundup®, SmartStax and Design®, SmartStax®, VT Double PRO® and VT Triple PRO® are trademarks of Monsanto Technology LLC. LibertyLink and the Water Droplet Design® is a registered trademark of Bayer. Herculex® is a registered trademark of Dow AgroSciences LLC. Respect the Refuge and Corn Design® and Respect the Refuge® are registered trademarks of National Corn Growers Association. Caution: Do not spray E-Z Refuge products with glufosinate ammonium based herbicides, including Liberty® brand herbicide. Agrisure®, Agrisure Artesian®, Agrisure Duracade®, Agrisure Viptera®, ArtesianTM and E-Z Refuge® are trademarks of a Syngenta group company. HERCULEX® and the HERCULEX shield are registered trademarks of Dow Agrosciences, LLC. HERCULEX Insect Protection technology by Dow Agrosciences. LibertyLink®, Liberty® and the Water Droplet logo are registered trademarks of Bayer. Bayer CropScience LP, 2 T.W. Alexander Drive, Research Triangle Park, NC 27709. Always read and follow label instructions. Bayer (reg’d), the Bayer Cross (reg’d), InVigor®, Liberty®, LibertyLink® and the Water Droplet Design (reg’d) are trademarks of Bayer. Liberty is not registered in all states. For additional product information call toll-free 1-866-99-BAYER (1-866- 992-2937) or visit our website at www.BayerCropScience.us. Seeds containing the Genuity® Roundup Ready 2 Yield® trait are protected under numerous U.S. patents. Seed containing patented traits, such as seed containing Roundup Ready 2 Yield® traits, can only be used to plant a single commercial crop. It is unlawful to save and replant Genuity® Roundup Ready 2 Yield® soybeans. Additional information and limitations on these products are provided in the Monsanto Technology Stewardship Agreement and the Monsanto Technology Use Guide. The licensed U.S. patents for Monsanto technologies can be found at the following webpage: www.monsantotechnology.com. LibertyLink® Patent Statement: Seeds containing the LibertyLink® trait are protected under multiple U.S. patents and may be planted only to produce one (1) commercial crop, and only after signing a Bayer Grower Technology Agreement. It is illegal to save or catch seeds containing the LibertyLink trait for use as planting seed or for transfer to others for use as planting seed.